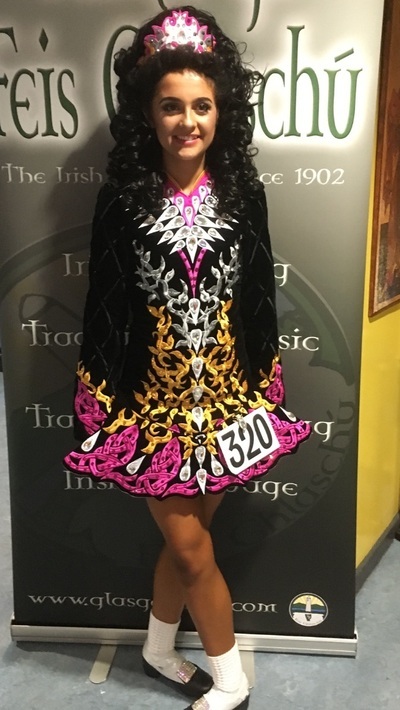 Beautiful Alana Mallon dress worn by under 15 dancer who is 5ft 5inches. Is in immaculate condition as good as new. Black with gold pink and white embroidery and covered in Swarovski. Room to let out and easily taken in. Happy to alter if needed.